Freshmen De’Riante Jenkins led all players with 14 points and 10 rebounds. 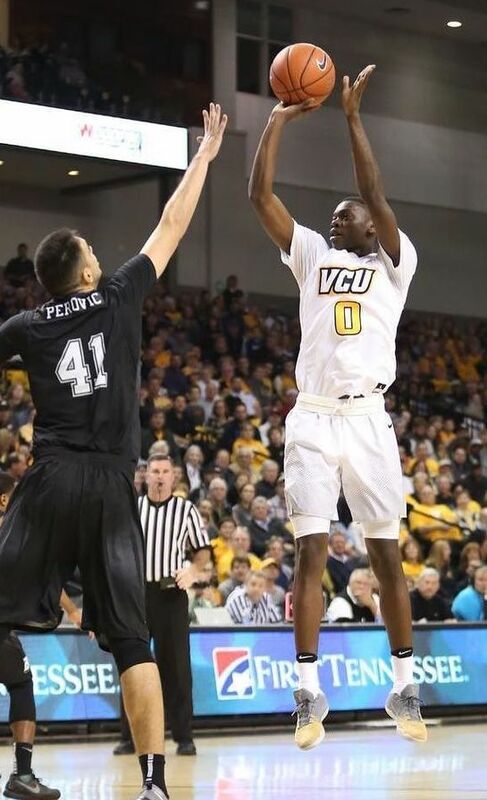 VCU put together their best performance of this early season with a dominant 81-42 win over Binghamton in front of yet another sellout crowd at the Siegel Center. The Rams used strong first half shooting to take a 19-point lead into the locker room, then came out of the half even hotter than they started, burying the Bearcats of the American East with 63.6% three-point shooting in the second half. Freshman De’Riante Jenkins was one of many with a hot hand for the Rams, scoring a career-high and game-high 14 points to go along with 10 rebounds for the Ram’s first career double-double. Jenkins hit two of his three three-point attempts and finished 4-6 from the field. He added two assists, a steal and a highlight reel-worthy first half block. Fellow freshman Samir Doughty notched double-digits as well, posting 10 points and matching Jenkins’ 4-6 shooting. Senior JeQuan Lewis played just 23 minutes but finished with 12 points of his own, barely outpacing fellow senior Jordan Burgess who finished with 10 points and five rebounds in the win. Jonathan Williams led all players with five assists and two steals to go along with his eight points on the evening. Those steals were two of the Rams 10 on the evening, turning Binghamton over 18 times to just 12 Rams turnovers, a major improvement over VCU’s 19 turnovers in this week’s win at Liberty. The Rams dominated the Bearcats 41-22 in the paint and wreaked havoc all night, scoring 22 points off turnovers. The win was a part of this year’s Battle 4 Atlantis tournament. The Rams will play their next B4A game in the Bahamas next week, taking on the Bears of Baylor University at 2:30PM Wednesday, November 23. I SO wanted to get to the Bahamas! Do you know if any of it will be televised?